The circular bioindustry of paper starts on local eucalypt and pine plantations, where the wood used by the sector comes from and which are large CO2 sinks. Local sourcing and sustainable forest management of these plantations and their certification, improved forestry techniques, the genetic improvement of clones to be planted, and the improvement of plantation health in their adaptation to climate change are priority matters for the pulp and paper industry in Spain, as are promoting good practices in tree logging to guarantee wood from legal and sustainable sources. 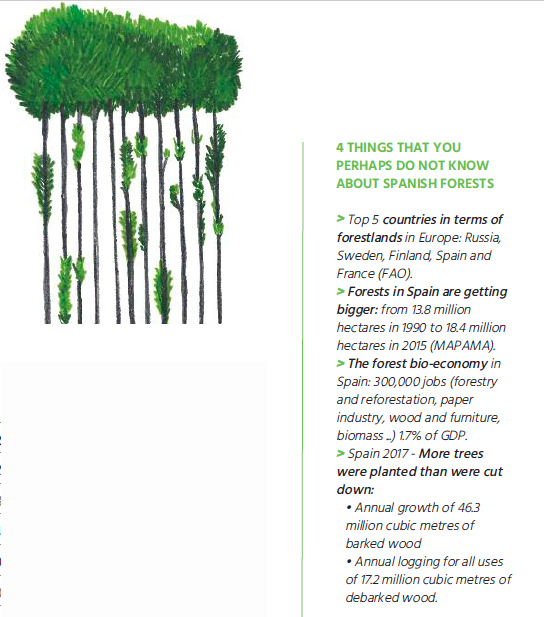 To produce virgin fibre (pulp) in Spain, 5.5 million cubic metres of wood are used. 98% of this wood is sourced from local pine and eucalypt plantations. Pine wood is entirely local, as is 97% of eucalypt wood (the remaining 3% comes from eucalypt plantations in other European countries). Furthermore, all the wood used by the sector comes from legal logging with controlled traceability. 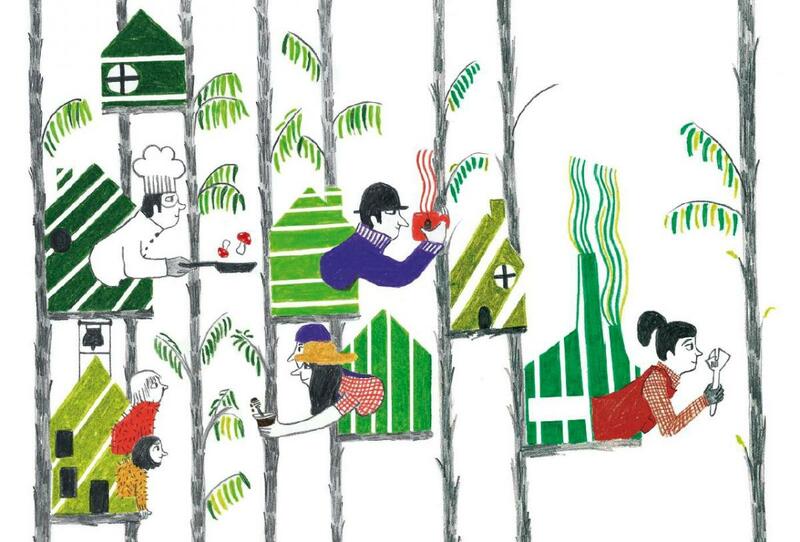 The already high percentage of wood with sustainable forest management certification (FSC and/or PEFC) continues to grow: certified wood consumed by the sector now amounts to 63%, a figure that in the case of eucalyptus stands at 75%. 100% of pulp mills and pulp suppliers are certified, as are 92% of suppliers of wood to the industry and 75% of paper mills. With regard to finished products, 56% of market pulp and 61% of market paper is certified.